It's the dream of every one of us to stay younger and healthier. 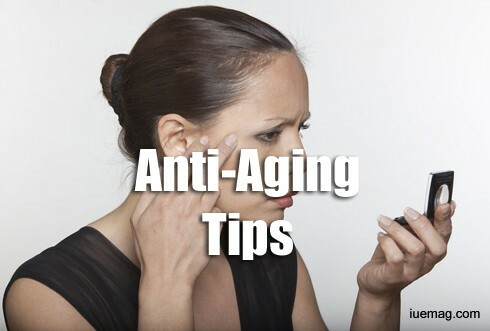 Here's what you could do to slow the aging of your skin and hair! There is a very wise saying which reads ‘Don’t complain of old age, many are deprived of this privilege’. Well of course this is true. We have all been gifted with a beautiful body and none of us should be complaining no matter how imperfect it may seem. Taking care of this body though is totally on us. Ageing is said to be a process of growing old. So what? What if you are supposed to age? It simply means you should be taking more care of yourself than you did before. Intrinsic aging is nothing but the physiological aging of your organs which includes skin. It happens over time and the efficiency, cell turnover rate etc. may be reduced naturally. Extrinsic aging is due to various external factors such as the sun damage, smoking, stress, hormonal imbalance, improper and unbalanced lifestyle, improper care etc. The skin over time loses its collagen and elastin and its ability to bounce back. Thus the skin becomes thinner and appears to sag. There is also loss in volume and owing to all the gravity it tends to have deep wrinkles. This is more prominently seen around the delicate areas of the eyes and mouth. What are the signs of aging on the skin? The early signs of aging are fine lines and mild dryness. This is seen usually in the mid 20’s. It is seen that women tend to age quicker than men in terms of skin. What can we do to slow aging and maintain the skin at its best? A theory states that it is because of the loosening up of these collagen and elastin fibres that wrinkles are formed. So what is Collagen and what is elastin? Below your skin is a layer called the connective tissue layer. This layer is made up of collagen and eastin fibres. These fibres are nothing but protein structures and are responsible for maintaining the bounce back factor of the skin. As we all are aware, one of the first few signs of aging that’s shown by the hair is greying. Apart from this, there may be thinning or balding of the hair. The hair strands may appear dry and lifeless too. What can we do to save our hair from the effects of aging? As far as the greying is concerned, if the hair starts turning grey after the age of 30, then it is physiological aging and there hasn’t been any evidence in the medical studies so far that any product or procedure can reverse this greying. So if your question is, what could we do? I’d say Just let it be. You know the best part about grey hair? At least there is hair! If you do not like the grey colour, you could opt for natural dying solutions to help yourselves from the harmful effects of the chemical ones. For your other hair care issues, make sure you treat your hair well. Oil- Shampoo- Condition- Serum. You could skip step 1 and 4 according to your hair type. Please remember to visit your hair expert regularly to follow up on the condition of your hair and scalp health. What can you do to combat the effects of aging on your skin? To be continued..